Many mature trees were preserved, and a plant palette was selected for beauty, hardiness and low water usage. 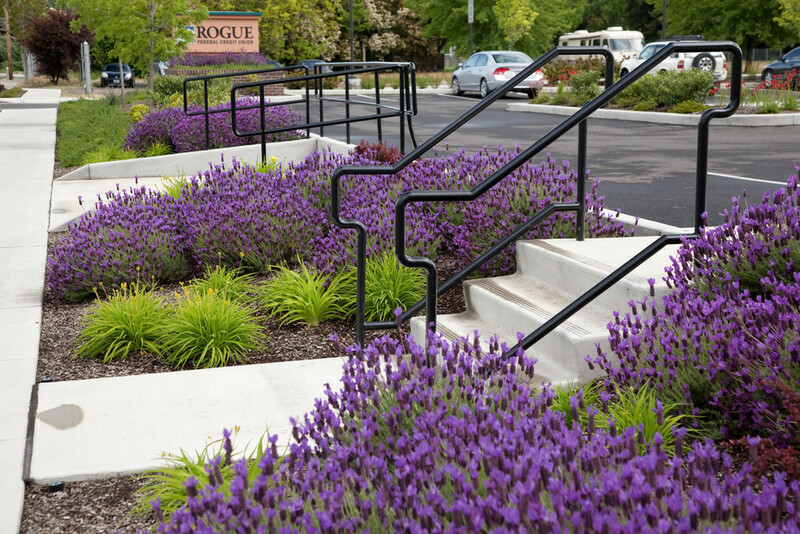 Landscape construction documents were prepared for this highly visible project. Since there were many mature trees, our firm prepared tree preservation documents for the 2.4 acre site. 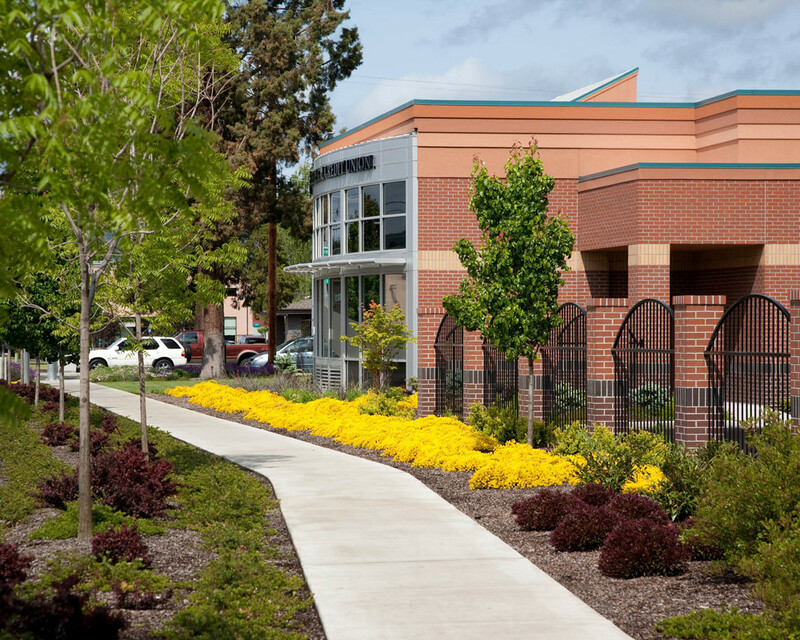 Many sustainable features were incorporated into the design, including the use of permeable pavers for 20% of the parking area, and swales to accommodate storm water run off. The plant palatte was selected not only for beauty, but also for hardiness and low water usage.